The child care staff at Story Book Early Learning Centre consists of dedicated, well-qualified, experienced teachers. We have Registered Early Childhood Educators who belong to the College of Early Childhood Educators. Only members of the College can use the protected title “Registered Early Childhood Educator” (RECE). 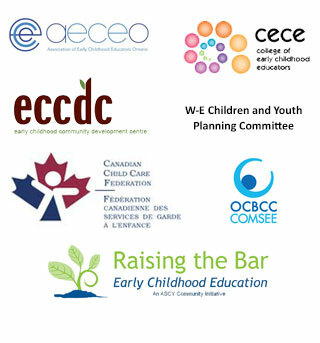 The College of Early Childhood Educators regulates Ontario’s profession of Early Childhood Education in the interest of the public, children, and families. Additionally, only individuals who have met the registration requirements of the College and hold a Certificate of Registration in good standing may practice the profession of early childhood education. We also have experienced assistant teachers that complement our programs. Our staff is encouraged to professionally develop at every opportunity and consistently participate in professional development. These opportunities of professional development mostly happen in the evenings and on their own time. This truly demonstrates how committed the staff are to the children and families we serve. All of our staff is trained in First Aid and CPR, plus the Hanen Program “Learning Language and Loving It.” Some other qualifications of staff include: Infant and Toddler Certification, Resource Teacher Diploma, Registered Early Childhood Educator Certified, Bachelor of Education Degree (B.Ed. ), Child and Youth Worker (C.Y.W), to name a few.